Seattle is trying yet again to relieve itself of its Pioneer Square public-toilet problem. The city’s current budget includes $230,000 for the purchase, transportation and installation of a stand-alone restroom in the historic downtown neighborhood, where large numbers of tourists, sports fans and homeless people lack a reliable option. An official leading the project said he hopes to open the unit by the end of the year. 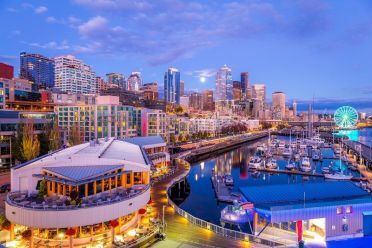 “Our goal is to make this happen ASAP,” said Gary Johnson, who coordinates the Seattle Department of Planning and Development’s center-city strategy. The last time officials addressed the issue, they wound up with a mess. The city spent $5 million on five high-tech, self-cleaning toilets for Pioneer Square and other neighborhoods in 2003, only to have the units become refuges for drug use, prostitution and hanky-panky. They were sold on eBay in 2008 for $2,500 each.